Mini in chrome. Fortunately, only the lid is glossy and not the TFT. Two Atom core not only increase the netbook performance, but also make a six hour battery life possible. 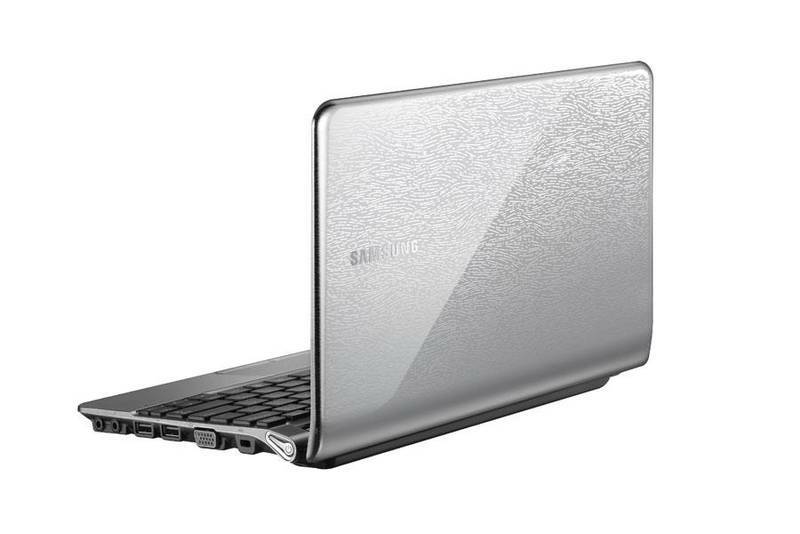 However, the workmanship has lost some of its previous Samsung glamour. 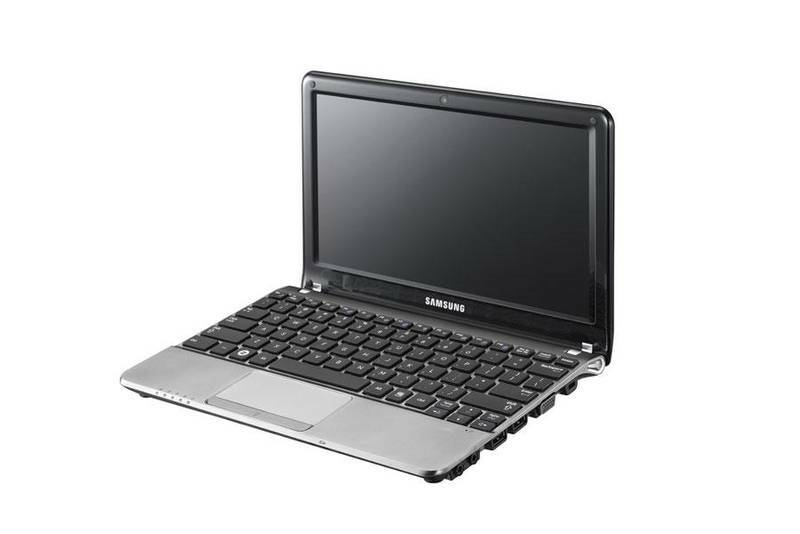 With touchscreen tablets eating into netbook market share more every day, Samsung is selling its NC210 for around £300. Is such a price tag still justifiable for a netbook? Answers in our test! The NC210 isn’t any better than other netbooks but costs a bit more. Even Samsung sells a model that gives equal performance, costs less and has longer battery life: the NC110. Samsung: The Samsung Group is composed of numerous international businesses, all united under the Samsung brand in South Korea. The meaning of the Korean word Samsung is "tristar" or "three stars". The Samsung brand is one of the most important brands of South Korea. 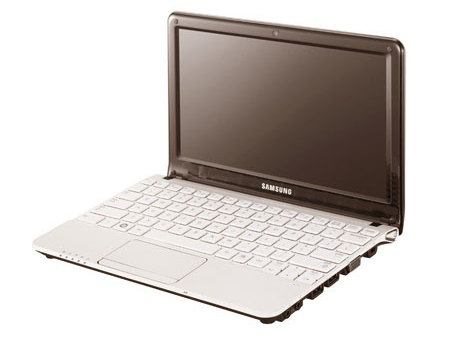 Samsung is an international notebook manufacturer of medium size according market shares and reviews. In 2015 and 2016, Samsung had a market share of around 24-25% in the global smartphone market and was undisputed market leader. In the laptop sector, Samsung is on the 8th place in the global manufacturer rankings from 2014-2016 with 1.7-2.7%. In 2016 Samsung slipped into a crisis due to exploding smartphone batteries and a failed recall action. These graphics cards are not suited for Windows 3D games. Office and Internet surfing however is possible. Intel Graphics Media Accelerator (GMA) 3150: Integrated (shared memory) graphics card in the intel Atom N4xx CPUs. Minimally faster than an old GMA 950 and therefore not suited for 3D games or HD videos (only MPEG2 acceleration).» Further information can be found in our Comparison of Mobile Graphics Cards and the corresponding Benchmark List. Intel Atom: The Intel Atom series is a 64-Bit (not every model supports 64bit) microprocessor for cheap and small notebooks (so called netbooks), MIDs, or UMPCs. The speciality of the new architecture is the "in order" execution (instead of the usual and faster "out of order" execution). Therefore, the transistor count of the Atom series is much lower and, thus, cheaper to produce. Furthermore, the power consumption is very low. The performance per Megahertz is therfore worse than the old Pentium 3M (1,2 GHz on par with a 1.6 GHz Atom). N550: Dual core Atom with a TDP of only 8.5 Watt. Because of the slow clock speed of 1.5 GHz it may be sometimes even slower than a N465 Atom CPU.N455: Intel Atom CPU for Netbooks with integrated DDR3 memory controller and GMA 3150 GPU. The performance of the system should be only minimally faster than the previous Atom N280 / GMA 950 combination. 81.8%: This rating should be considered to be average. This is because the proportion of notebooks which have a higher rating is approximately equal to the proportion which have a lower rating.» Further information can be found in our Notebook Purchase Guide.